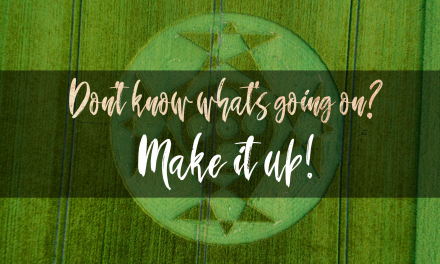 One of the recurrent themes running through the pages of Crop Circle Wisdom is that of ‘amateur’ and ‘professional’ circle makers. 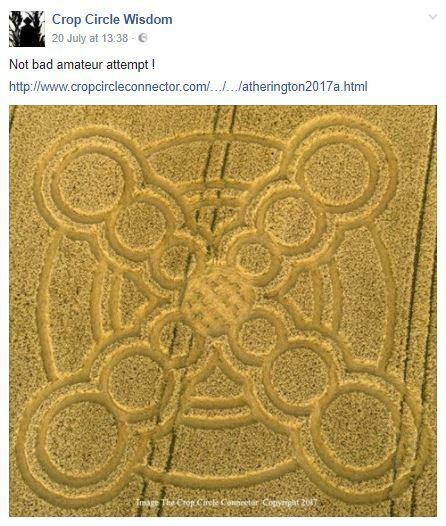 It has inspired such headlines as ‘amateurs rejoicing as their art work receives attention’, ‘now the amateurs are having a go!’ and ‘Wiltshire will become a target by newbie amateurs’. Reading these attention grabbers you may think there is something to them, but things are very different. By definition, a professional is someone who gets paid for their work. In this respect, and on the rare occasions they are putting down commissioned, paid-for work, a circle maker will be a professional. 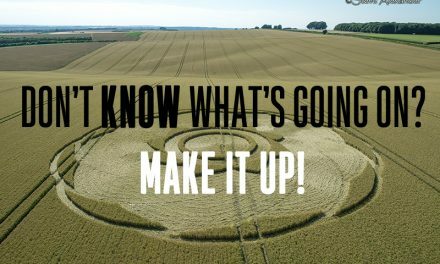 For the rest of the time these same people, if they choose to make a non-commissioned crop circle, will be working on an amateur basis — they won’t be getting paid for their creations. Audi commission by Julian Richardson, 2016. 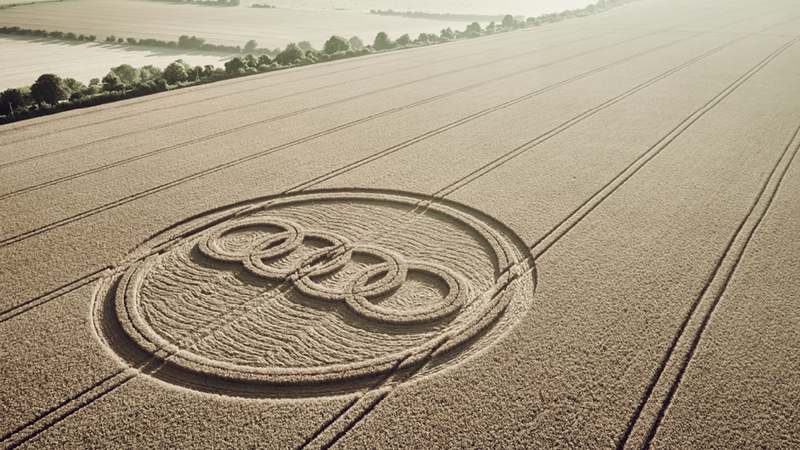 So, the Audi formation was made by someone on a professional basis. Its counterpart at Cley Hill was produced by someone working on an amateur basis. 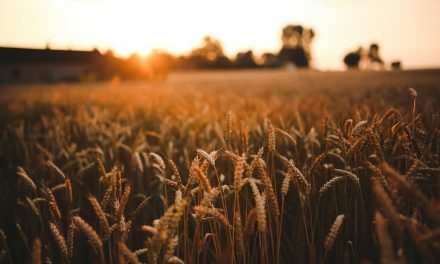 If you believe Crop Circle Wisdom, both were allegedly put into the fields by the same individual. So, when it comes to covert circle making, there are no professionals. Only amateurs. 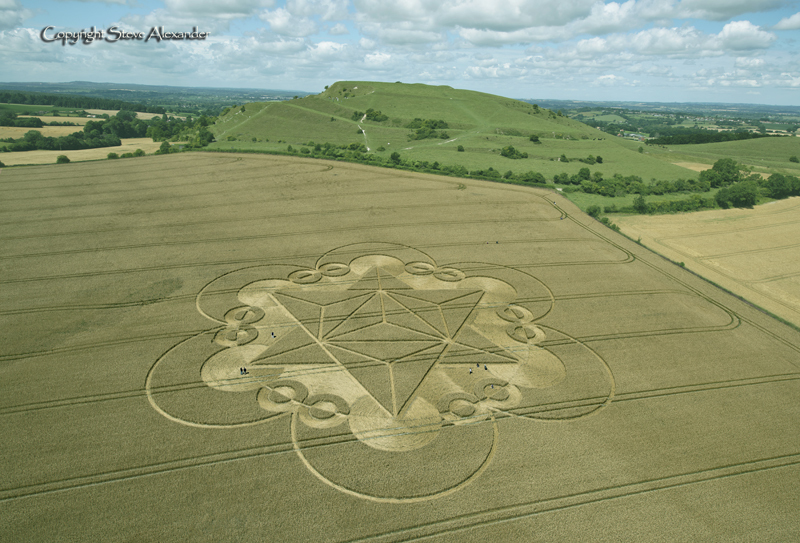 Lead image: Photograph by Mr Gyro, showing the 2016 crop circle at Ansty. If what The Croppie hears is correct, it was put down by unpaid circle makers on behalf of Mothership Glass. Amateurs!